Easter Holiday Fun in the Garden! Keep the kids amused during the Easter holidays by spending time in the garden, learning about nature and having lots of fun! Our childrenâ€™s gardening range has a fantastic selection of tools for green-fingered kids including wheelbarrows, watering cans and wooden garden tools that are especially sized for little hands. We even sell plant pots and seeds so that children can grow their own flowers and vegetables! 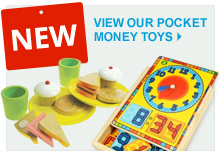 OurÂ Children's Garden Gift Tool SetÂ contains all the tools youngsters need to help grown ups in the garden. The set comes in a shoulder bag with handy pockets for the tools and an adjustable strap. 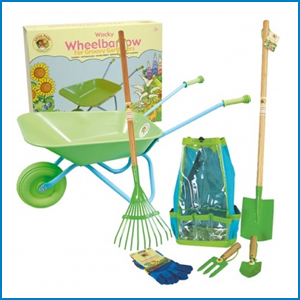 Save over 10% by buying ourÂ children's metal wheelbarrow and garden tool setÂ as a bundle. 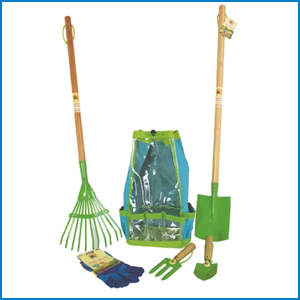 This set is ideal for young gardeners whether they are weeding, cleaning up leaves or helping grown ups in the garden. 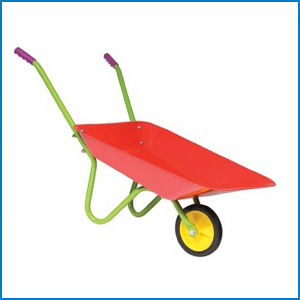 Children are certain to have hours of fun in the garden with thisÂ Children's Red Wheelbarrow. They can help out parents and work on their own projects as they scoot around behind this brilliant red wheelbarrow with comfort grips. Made of metal this sturdy little wheelbarrow is built to last! Some assembly required. 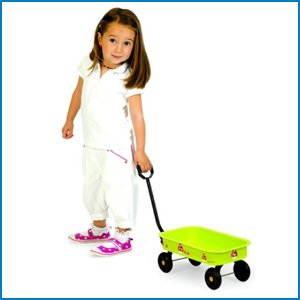 This sturdyÂ little Metal Cart is made by the respected French toymaker Janod. 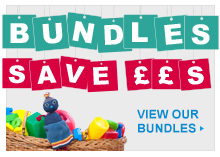 The cart is ideal for little ones to take their favourite dolls, animals and toys for walks. Also ideal for use in the garden so that children can transport plants, soil and tools and maybe even help out mum and dad at the same time! Just the ticket for a rest after a hard days work in the garden! This delightfulÂ red and white striped deckchairÂ for children is made by the specialist Belgian toymaker Egmont. 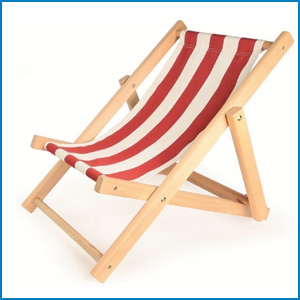 The deckchair has a wooden frame with a safety screw to protect little fingers and a retro red and white stripe canvas seating area. The Joseph Bentley Apprentice Carbon SteelÂ Childrens Hand ForkÂ with three carbon steel tines is perfect for weeding and cultivating the soil in beds and borders. 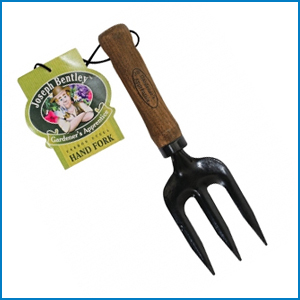 Designed for the youth gardener aged 7 years and above, the fork is set on a solid oak wood handle - contoured for greater comfort. 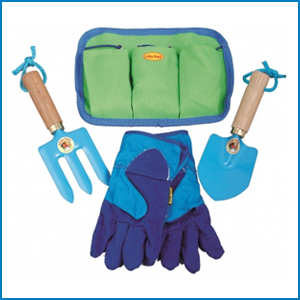 Our Children's Blue Garden Tool Belt Set is a greatÂ starter garden tool set for children. The set includes a blue trowel and fork with sturdy metal heads and wooden handles, and a pair of blue rigger style garden gloves. The set comes in a green tool belt edged in blue trim. 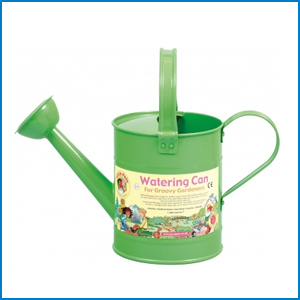 Children will have lots of fun in the garden with this sturdyÂ green metal watering can. It is the ideal size for children and has a fixed spout with a rose head. The watering can has both both top and side handle to make it easier for younger children to carry and water plants with. With our sunflower growing pot of fun set children can grow their ownÂ giant sunflowers. 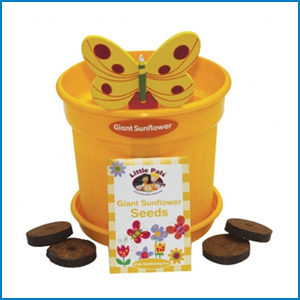 The sunflower growing set contains a plastic pot, a water tray, sunflower seeds, compost cubes and a lovely wooden butterfly plant marker. Simply add water to the compost cubes, stir in some extra garden soil and plant the seeds and watch them grow! 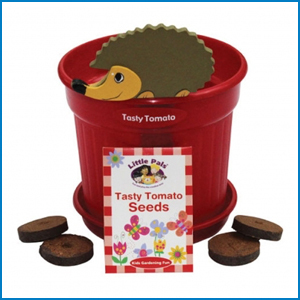 With our tasty tomato growing pot of fun set children can grow their ownÂ tasty tomatoes. The set comes with a plastic plant pot, a water tray, tomato seeds, compost cubes and a cute little wooden hedgehog plant marker. This entry was posted in Random, Summer Activities For Kids, Gardens on March 29, 2015 by Kerry Berry. Welcome to the second half of our ten suggestions for activities for children during the long summer holidays. 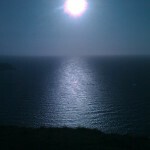 Most of these activities cost little or no money and do not require lengthy car, bus or train journeys. You may also wish to check out our recent tongue-in-cheek guide to creating a DIY musical festival in your garden. This entry was posted in Summer Activities For Kids and tagged imaginative play on July 10, 2013 by John. As the cheers finally die down and the country becomes accustomed to its first Wimbledon menâ€™s champion in seventy seven years, mums and dads are starting to look forward to the summer and the six week holiday and think about how to keep the children occupied in the sunshine. Here at WoodenToyShop we have been reminiscing about our school summer holidays - it takes a little bit of head scratching to think back that far â€“ and have come up with the following suggestions for fun outdoor activities with the family, all of which assume, optimistically, that this wonderful spell of sunny weather stretches right through until September! 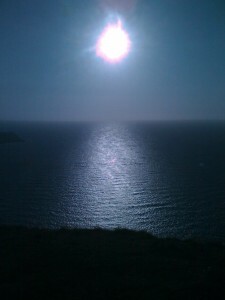 This entry was posted in Summer Activities For Kids on July 9, 2013 by John.